Successfully Added WiFi Door and Window Sensor - IP56 Waterproof, 2.4G Wireless, 45m WiFi Range, APP Support, Easy Set Up to your Shopping Cart. Easily upgrade your home security status by using this state of the art door/window sensor. Simply attach it to your door or window, and this smart home accessory will inform you on whether it’s opened of closed. Through the dedicated mobile application, you’ll always be able to check on the status of your door or window even when you’re not around. Thanks to this, you’ll always be informed on when your door or window is being opened by a possible unwanted visitor. The sensor itself is easy to use and extremely small in size. This allows you to attach it to your door or window without being a burden to your eye. 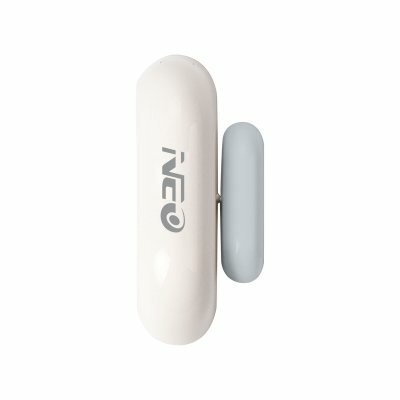 This wireless door/window sensor supports 2.4G WiFi connectivity with a 45m range. This means that you’ll be able to use it even in the most remote corners of your home. It is powered by a single CR2-3V battery that brings long weeks’ worth of continuous usage time. Thanks to its waterproof IP56 design, this smart home gadget can be used with confidence in any environment and weather condition. If you’re looking for a cheap and efficient way to upgrade your home security, this gadget is what you have been looking for. Simply attach it to your door or window and you can be guaranteed that nobody enters your property without you knowing it ever again. The door sensor comes with a 12 months warranty, brought to you by the leader in electronic devices as well as wholesale security gadgets..